Bellator double champ Ryan Bader has re-upped with the promotion for several more years. 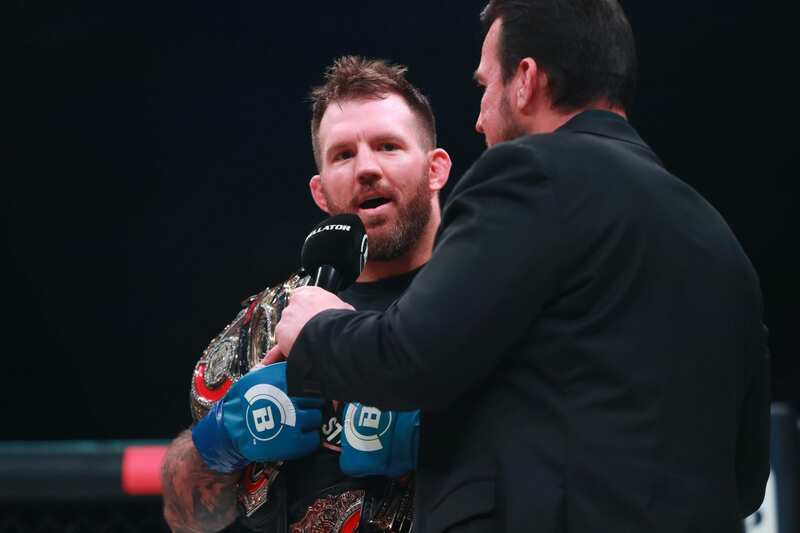 MMA Fighting reports that Bader has signed a new exclusive multi-year deal with Bellator, for whom he currently reigns as the heavyweight and light heavyweight champion. The 35-year-old initially signed with Bellator back in 2017. He has yet to be defeated under the promotion’s banner and is currently on a seven-fight win streak. In his last outing, Bader defeated Fedor Emelianenko at Bellator 214 to capture the vacant Bellator heavyweight title. With the victory, he became the first double champ in the company’s history. Bader won the Bellator light heavyweight throne from Phil Davis back in June of 2017 via split decision. He has looked tremendous since joining the Scott Coker-led promotion and looks to continue his amazing run after inking his new deal. Bader is tentatively slated to face fellow UFC veteran Cheick Kongo in his next title defense. A date has not been officially confirmed for the bout.